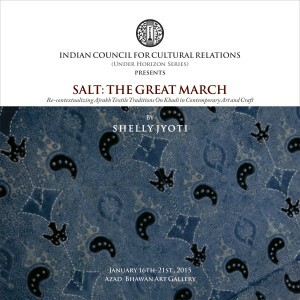 The Salt March series explore salt as a symbol of non-violence. 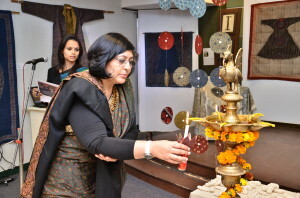 The project is inspired by the Gandhi’s theory of satyagrah – a challenge to ones own truth with stress on self-purification, self-examination and self-assessment. 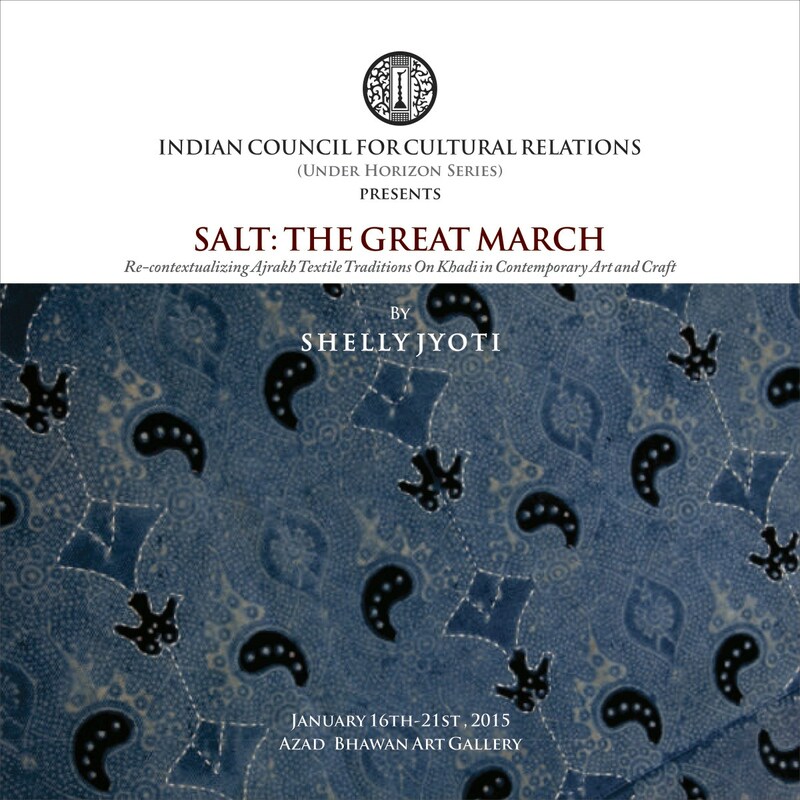 “Salt” series draws upon the history of India’s colonial past and Mahatma Gandhi’s 1930 Dandi March, which began the Salt Satyagraha and became an important part of the Indian independence movement. 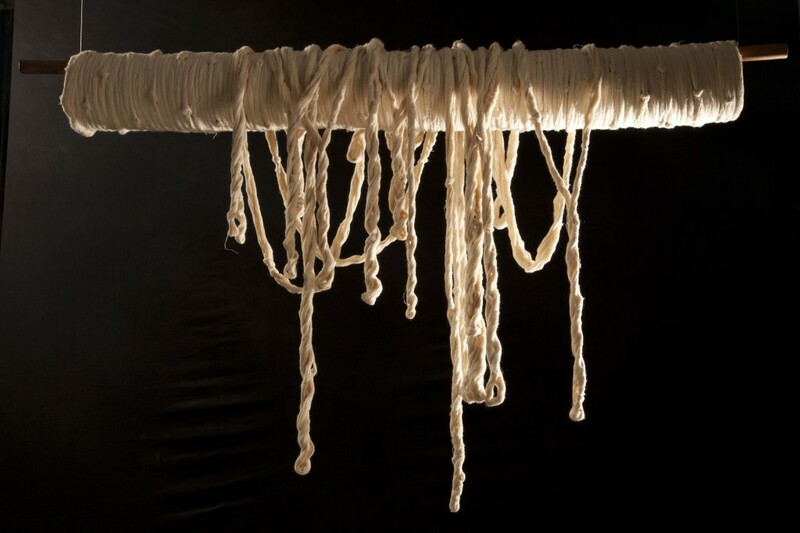 Within the Salt March series-khadi is re-contextualized as a contemporary social movement visualized through art and traditional craft materials and processes, seeking out the possibilities of bringing the khadi spirit into our daily lives. 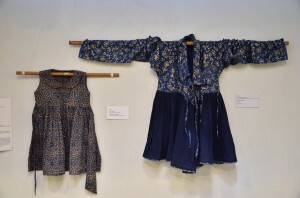 The “Salt” series is a continuation of Jyoti’s earlier series, ‘Indigo Narratives (2008-14) that were inspired by an anti-colonial, nonviolence movement, 1917-18, Gandhi’s first non-violence protest for indigo farmers in India. 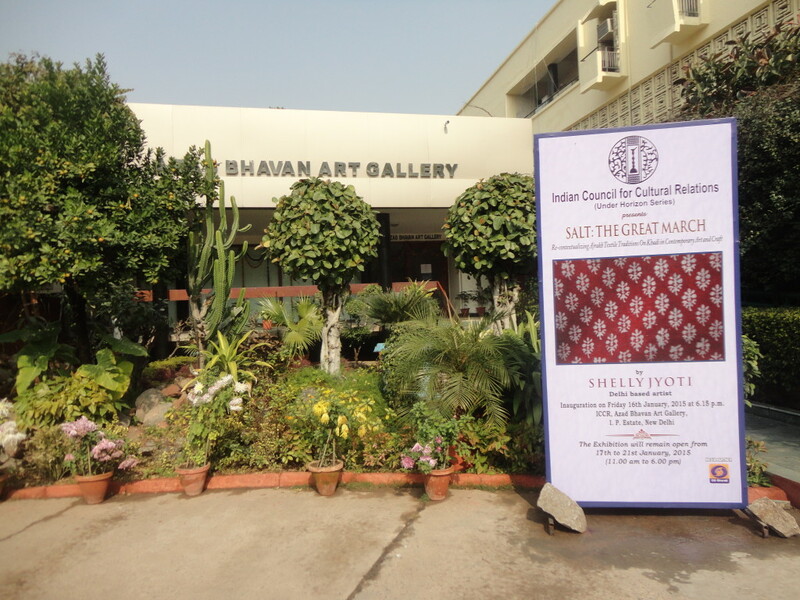 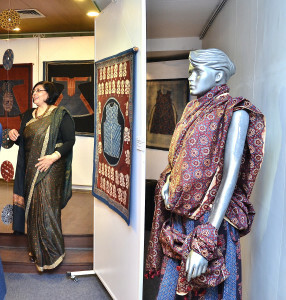 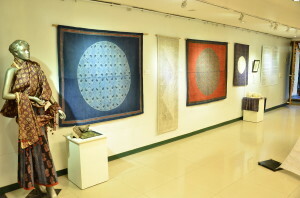 Shelly Jyoti’s present body of work features five site-specific khadi fabric installations including clothing, 35 artworks utilizing Ajarkh textile traditions on khadi fabric and spoken poetry video film.